If you haven’t heard of a Buddy Box here is January’s. The Blurt It Out Foundation is an organisation to help people with self-care, mental health problems and other illnesses. They describe their monthly subscription boxes as a hug in a box and I can completely agree with them! As so as I open my monthly Buddy Box I feel like smiling, warm and happy. 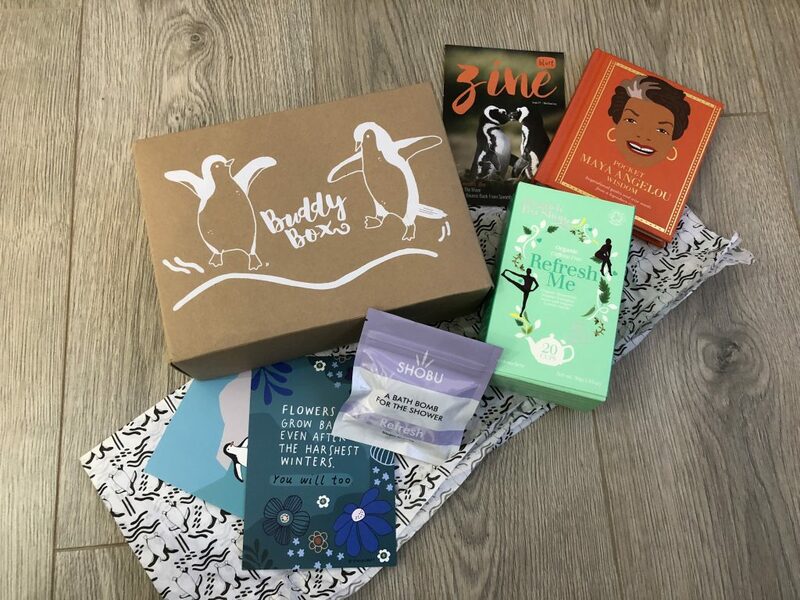 The boxes can be brought as a one off, monthly subscription, sponsor a box or gifting one to a close friend or family member. Each for £21.50.